Use Form 1040X to amend a tax return. 2. 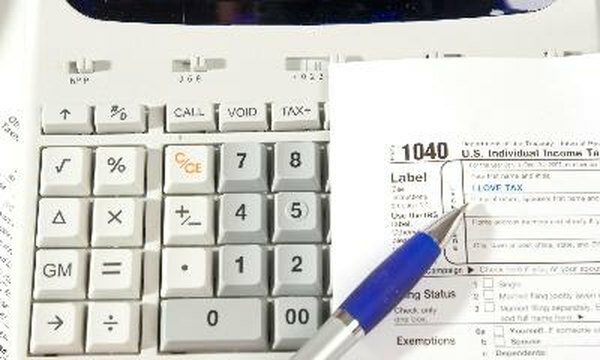 Does Filing Your Taxes Electronically Increase Your Chances of an IRS Audit? During tax season, it is easy to become overwhelmed with the wide variety of paperwork that must be completed and filed by the federal deadline. Particularly in situations where individuals are responsible for filing paperwork on multiple income sources, it is an all too common scenario in which tax filers realize after the fact that they did not attach a document such as a 1099 to their return. In the event that you have forgotten to include a 1099 on your return, you don't need to panic. If you catch the mistake before the IRS has notified you and assigned a penalty, you can file Form 1040x. This particular document is commonly referred to as an amended tax return. There is no direct way to attach a 1099 to a previous tax return. That being said, individuals can file an amended tax return, also referred to as Form 1040X, which will allow them to correct any mistakes they made previously and include their 1099s. As mentioned previously, IRS Form 1040X acts as an amended tax return. This document is still a formal tax return, and is only used when the tax filer realizes a mistake was made in their previous filing. Using Form 1040x, a tax filer can ensure that the IRS has the necessary corrections on file and will not levy penalties for incorrect tax documentation. IRS 1040X looks quite similar to IRS Form 1040. In fact, the only real difference between these two forms is the fact that Form 1040X is labeled differently than the standard 1040. With that in mind, you can complete 1040X just as you would the standard 1040 form and ensure that you correct any mistakes that occurred during the first filing attempt. If you forgot to include a 1099 on your first 1040 filing, you can do so here. The 1099 issued to you can come in a variety of forms. For example, a 1099-MISC is used to document payments accrued from various sources that are not considered a regular source of full-time income. Yet another 1099 form, the 1099-DIV, is used to log and record all dividend payments that are received as part of stock holdings. It is quite important to remember that when you receive a 1099 in the mail, this implies that the government already has a record of the income you have received as documented by the form itself. With that in mind, it is almost impossible for you to "get away" with failing to file these documents as part of your tax return. The far more likely scenario is that the IRS will require you to pay any money owed to them as part of the 1099 process in addition to possible penalties and late fees. Herein lies perhaps the most compelling reason to take the time to properly complete a 1040X. Irrespective of whether or not you choose to complete this form, the IRS will have a record of all information included in the 1099 that is missing from your filing. It will take little to no effort for IRS officials to spot this discrepancy on your original 1040, and you will be penalized accordingly. With that in mind, taking the time needed to attach your 1099 to the 1040X is absolutely recommend. Although this is technically not the same as attaching a 1099 to a previous tax return, it is the only means available to individuals who are attempting to correct any accidental mistakes they discovered after the filing deadline has passed. Print and extra copy of the completed 1040X form or save a copy for your tax records. Contact the IRS at 1-800-829-1040 to check the status of your amended return. It could take 8 to 12 weeks to process your amended return. IRS Form 1040X can only be used to amend tax returns within three years of the original filing date. Do I Need to Save the Original Receipt for Tax Purposes or Will a Scanned Document Suffice? Can I E-File if Married and Filing Separately in Texas?